We have a proud story to tell about these 50 years. But we also have a sad story about problems and sorrows with heartache and pain. This was the statement by the Chow family, who recently celebrated 50 years of service in the shipping industry. The owners of Coastal Shipping Company Ltd observed their 50th anniversary in East New Britain Province. 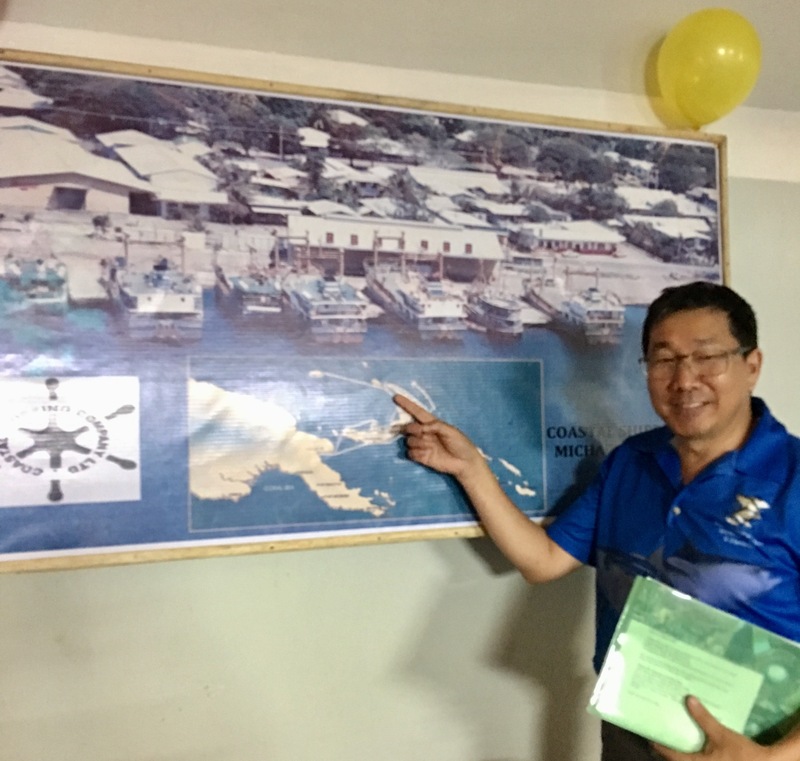 “In these 50 years we have served ships of our own fleet, ships of other fleets, all the provinces of New Guinea Islands and various associated industries,” says Fabian Chow. “Above all, we have adapted to new times, gone through ups and downs with our hometown Rabaul and still survived. “We hold as badge of honour: ‘Survivor, Rabaul volcano town’. “Back in the early 1960s, there was no television or cable or internet. Today, it’s still like that in Rabaul…in much of Rabaul anyway,” he laughingly says. He then reminisced on how they, as young kids, would look forward to watching super 8 movies. Years later, in 1994, disaster struck the beautiful Rabaul town. “The Old Rabaul is now part of a past that has gone forever. A proud past wiped out by the disaster and where everyone suffered. Churches, schools and hospitals closed. The recovery process was slow,” continues Chow. “Coastal Shipping has shared the sufferings of Rabaul town. “We have been with Rabaul through thick and thin. However, they refused to die, slowly rebuilding themselves amongst the ashy ruins. Among the painful memories of Malaguna Road, Mango Avenue, 2/22nd St, the company survived and earned the label: Survivor, Rabaul volcano town. “Our manager, Alex Payoe, can elaborate how, with Sir Henry, they took a humbled Coastal Shipping Company, adapted it and then survived so we can look forward to better times. “There is no room to complain,” continues Chow. “There is only room for job performance. “All our customers are operating on tough budgets and high costs with high taxes. From downsizing to changing their barge to fish services, the company proudly bears the scars of being the veteran and survivor of the twin challenges of the Bougainville crisis and volcanic eruption. “We are still recovering but expect to continue growing and providing shipping services to our home areas in the New Guinea Islands. “That is something to be proud of as we celebrate 50 years.